Landice treadmills are not the most common homeowner’s treadmill but are well-known in the health and wellness industry. Landice began in 1967 and has created top-of-the-line equipment for homes, commercial settings, and rehabilitation-focused machines. As the majority of their business is done in commercial settings, the build quality of all their machines is excellent. They also manufacture exercise bikes and ellipticals. 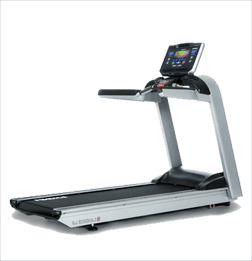 Like many health-club treadmill manufacturers that we have seen at Treadmill Reviews, Landice treadmills have a few base treadmill models with different consoles to choose from so you can customize your treadmill. There is a price difference depending on which console you choose, so be sure to check carefully. 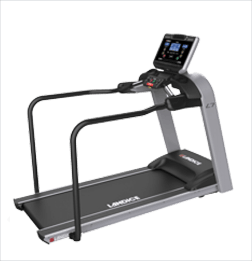 Overall, we found Landice treadmills to be impressive and incredibly sturdy, even more so than SOLE treadmills. They have several categories for their treadmills depending on who is looking for equipment, but even their light commercial, health club, and rehabilitation treadmills are open for purchase by home buyers. The only potential downsides are the hefty price that comes with all Landice treadmills and the fact that none of them fold. 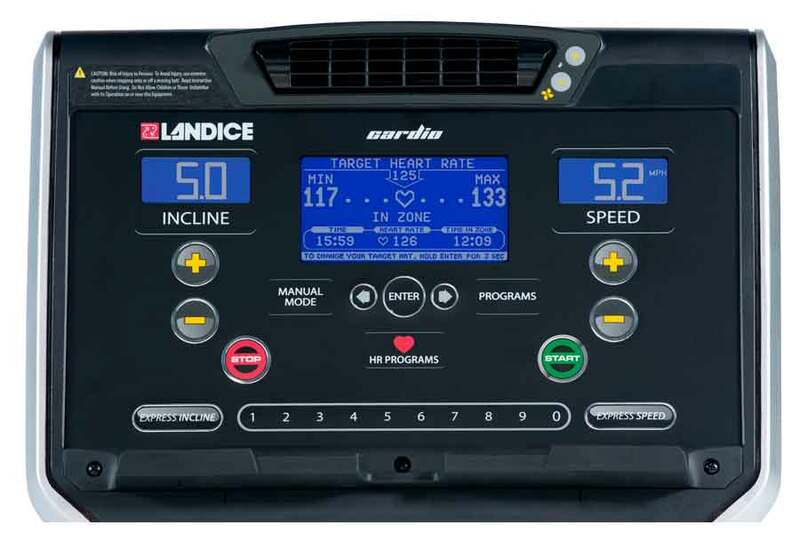 There are two base models for Landice residential treadmills. 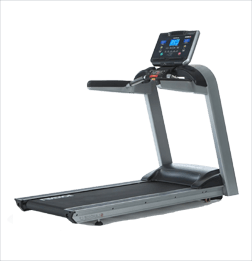 Their starting price is $3,950 for the least expensive treadmill and console combo, making Landice treadmills quite an investment for many homeowners. They do have a high weight capacity, starting at 400 lbs and going up 500 lbs. 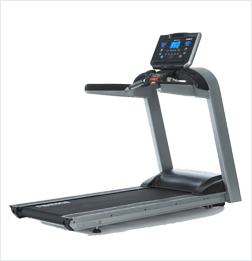 The residential treadmills also have 4 HP motors, incline ranges of 0% to 15%, and are able to reach a top speed of 12 MPH. 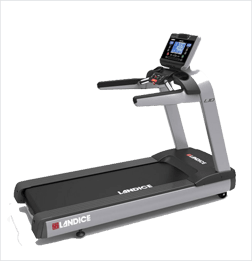 In most ways, the Landice light commercial treadmill series is the heavier version of the residential series. As they are built with an eye to higher traffic like small office gyms and hotels, this makes sense. The treadmills specs are identical, and the starting price is $3,950. Often seen in gyms are Landice health club treadmills. 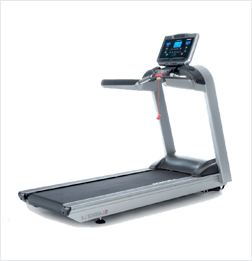 The L7 Club is similar to the two earlier iterations, but the L9 Club and the L10 Club are exclusive to the health club treadmill line. Those two treadmills have fairly generous space on the treadmill belt, starting at 22” by 60”. There is a speed variance, with the L9 Club and L7 Club only able to reach 11 MPH while the L10 Club can reach a top speed of 15.5 MPH. Unlike the other Landice treadmill series, there are no console options on the rehabilitation treadmill series. These treadmills were clearly created for rehab purposes as they have extended handlebars which extend nearly the whole length of the treadmill. User max weight for the L7 Rehab is 400 lbs while the L8 Rehab can hold a user weighing up to 500 lbs. They also come with a remote starting button so a physical therapist can more easily control the treadmill. 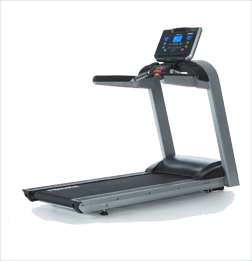 The starting price for the rehabilitation series treadmills is $4,195. 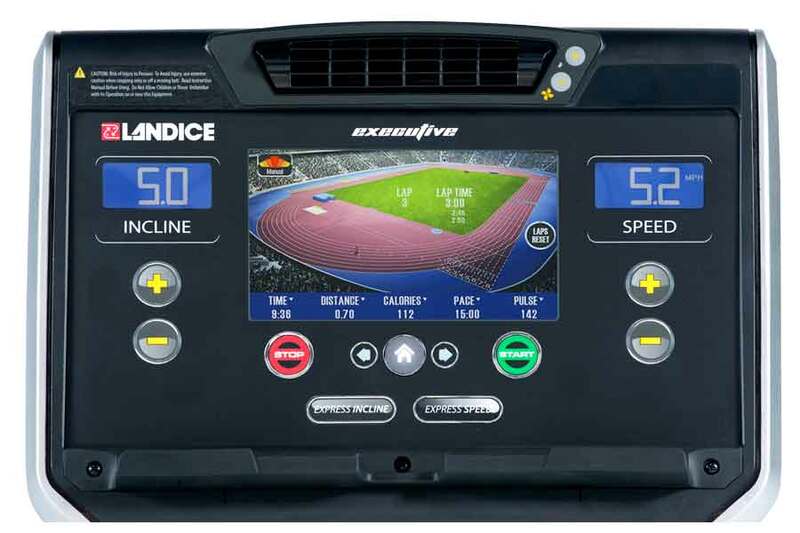 As mentioned above, there are 4 console options when it comes to Landice treadmills. The ability to choose your console applies to the majority of their available treadmills. 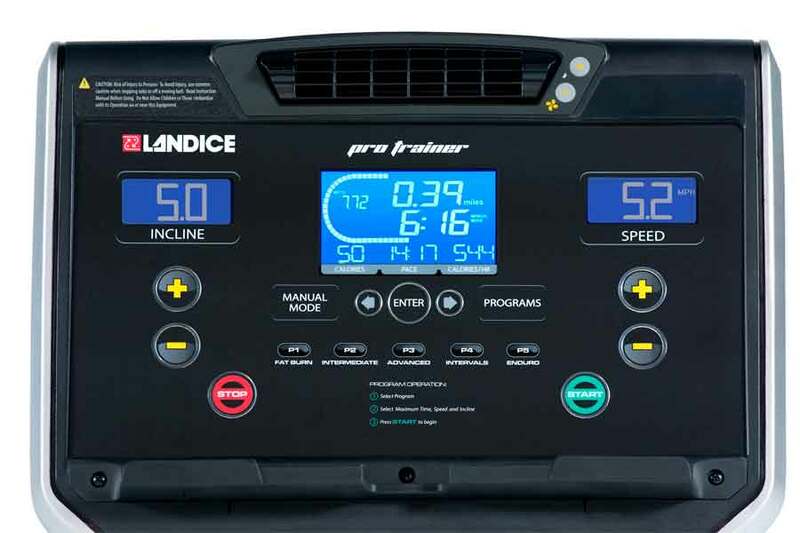 Landice treadmills are impressive machines. They have powerful motors and even their least expensive models are built like tanks, which means they have incredibly high weight capacities. The only real potential downsides to these treadmills are the price tag and the fact that they do not fold. The issue with not folding can be solved by making sure you have a dedicated space for your treadmill. However, as the starting model is $3,950, that represents a steep investment for most homeowners. 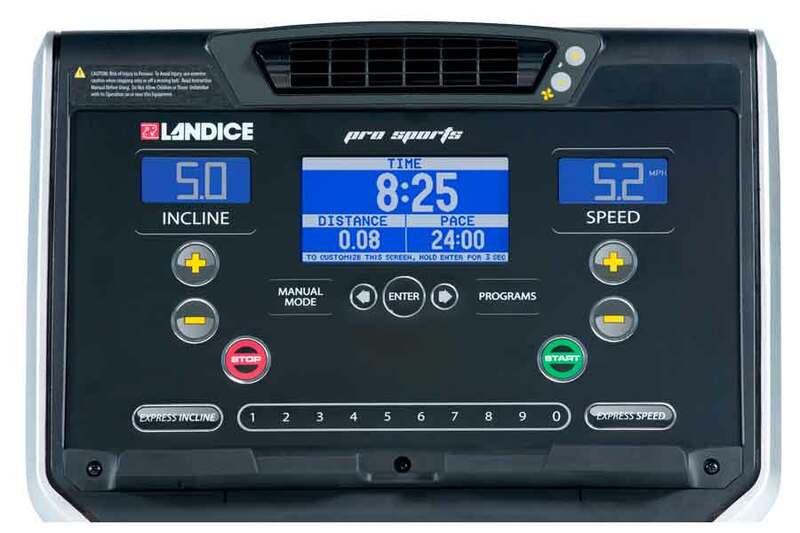 However, all Landice residential models have lifetime warranties on their entire treadmills, only excluding the touchscreen, USB port, and headphone cables. This even covers wear and tear damage, which is incredibly generous. So if you do choose to invest in a Landice treadmill, you can be reassured that your treadmill will last for many years to come. 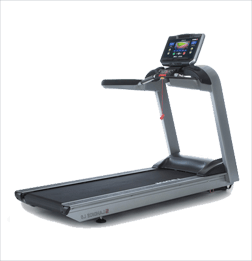 If you aren’t quite ready to spend that much on a treadmill but still want a sturdy treadmill, check out our reviews on SOLE treadmills and NordicTrack treadmills.